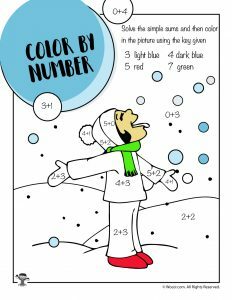 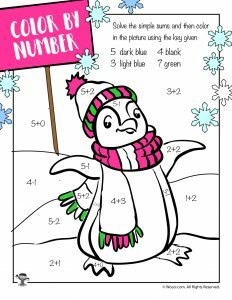 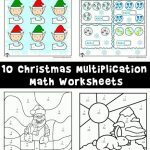 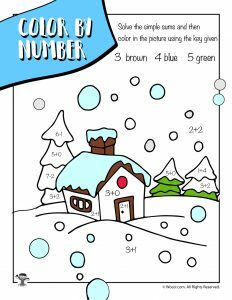 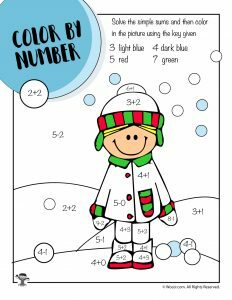 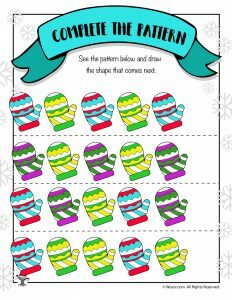 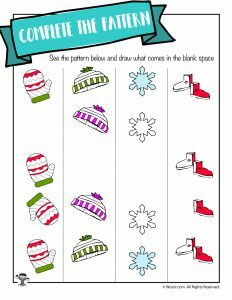 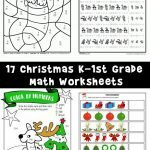 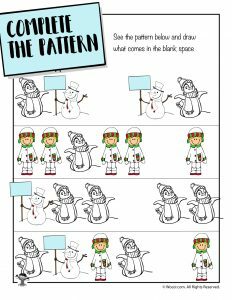 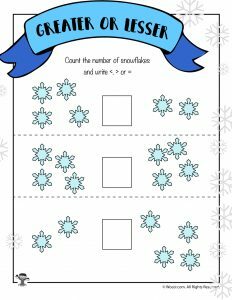 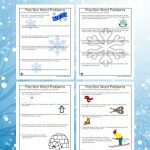 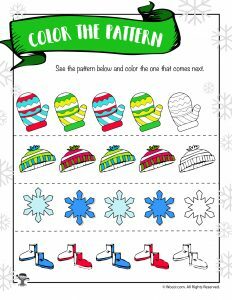 Here’s a brand new set of winter math worksheets, perfect for Kindergarten and first grade students! 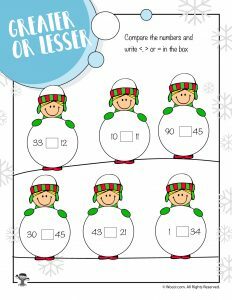 They are fun, colorful, and easy enough to teach math concepts to beginner level kids. 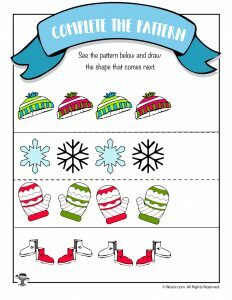 The first set is pattern recognition. 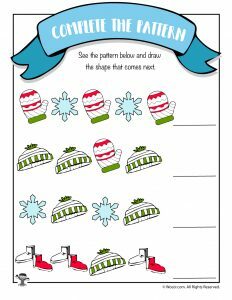 For children who aren’t comfortable with drawing the correct shape into the pattern, you can have them circle the correct shape instead. 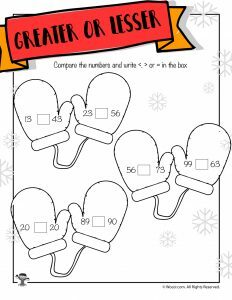 Alternatively, you can print two copies of each page, and they can cut out the shapes to paste onto the worksheets. 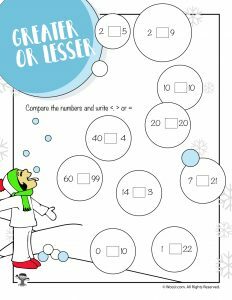 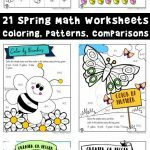 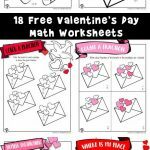 Our second set of worksheets are single-digit addition, with sums under the number ten – perfect for students who are just starting to add. 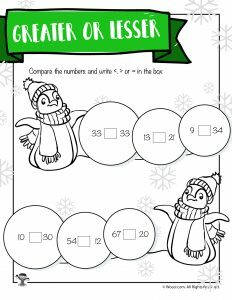 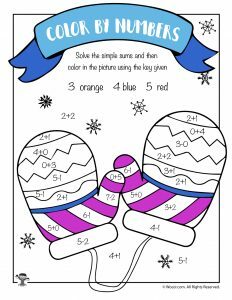 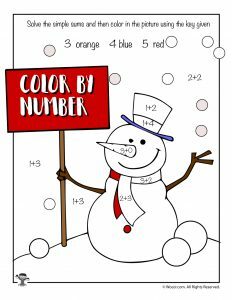 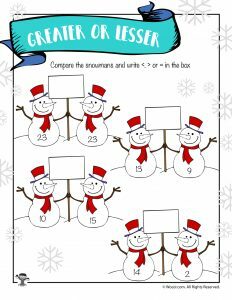 Our third set contains both single and double digit greater than / less than math problems with snowmen, snowballs, penguins and mittens!